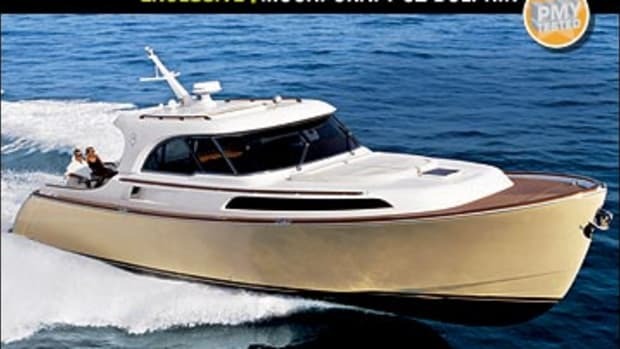 Click here to visit Mochi Craft's website. 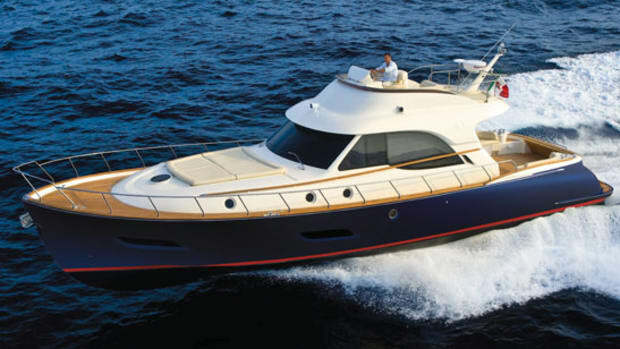 When Norberto Ferretti unveiled the Mochi 51 Dolphin at the 2003 Cannes Boat Show, he mockingly referred to her as a "langoustine boat" —in other words, a lobster boat with a Mediterranean twist. 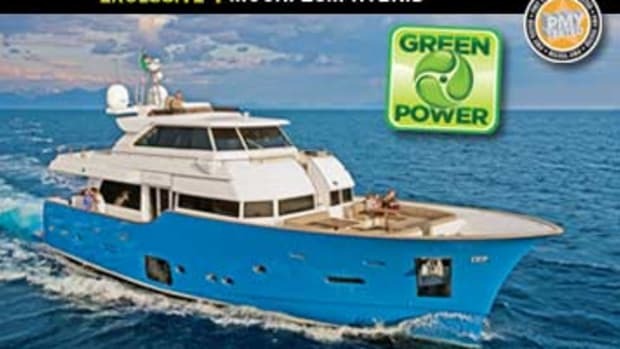 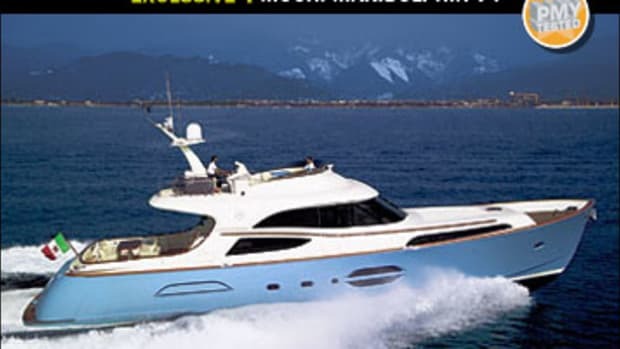 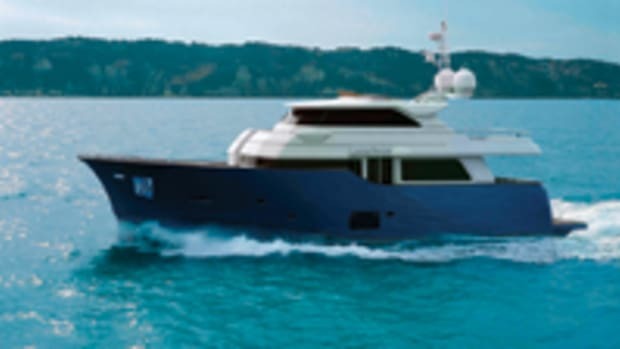 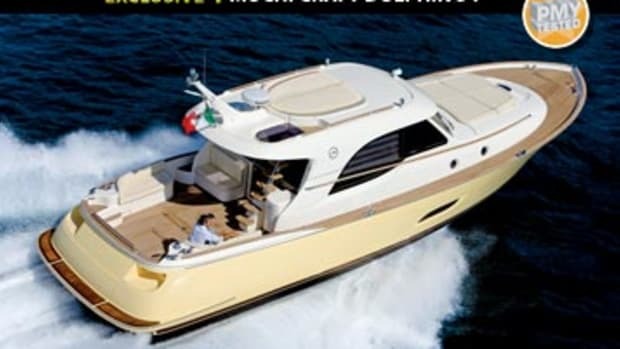 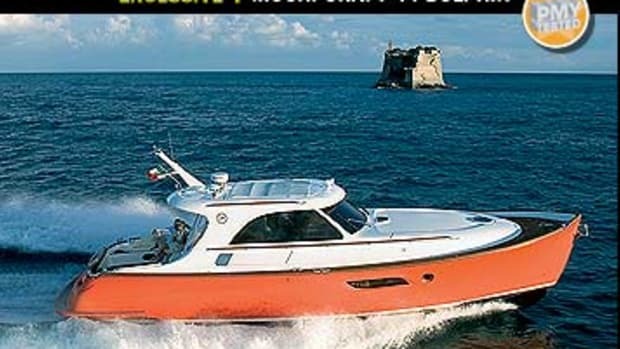 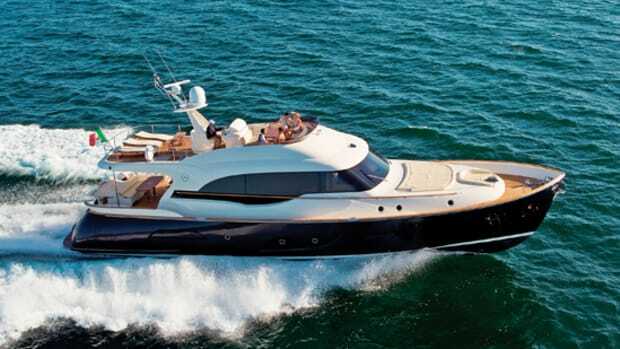 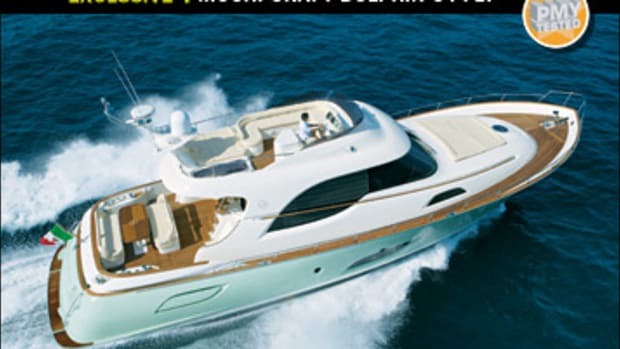 She was beautiful and performed well, but at 51 feet she was bigger than any lobster boat I had ever seen.I had no idea then what Ferretti had in mind for the future, namely the Mochi 74.